Sierra Maestra and Fidel Castro are both highly connected with the Cuban Revolution. 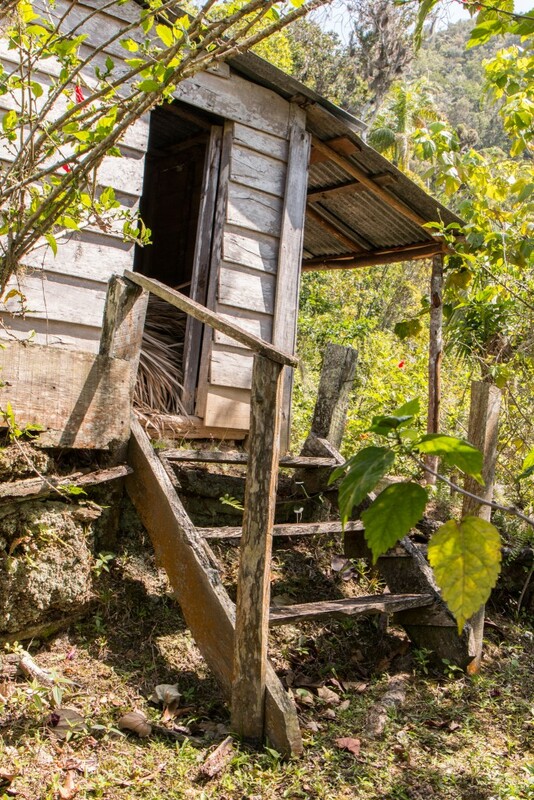 It was deep in the heart of the Sierra Maestra that the rebel army, led by Fidel and supported by the likes of Raúl Castro and Ernesto “Che” Guevara, set up its headquarters in a place known as Comandancia de La Plata. Comandancia de La Plata is considered the birthplace of the revolution and a very important historical place. It was here that the rebel army went on to free Cuba, and the rest is history. 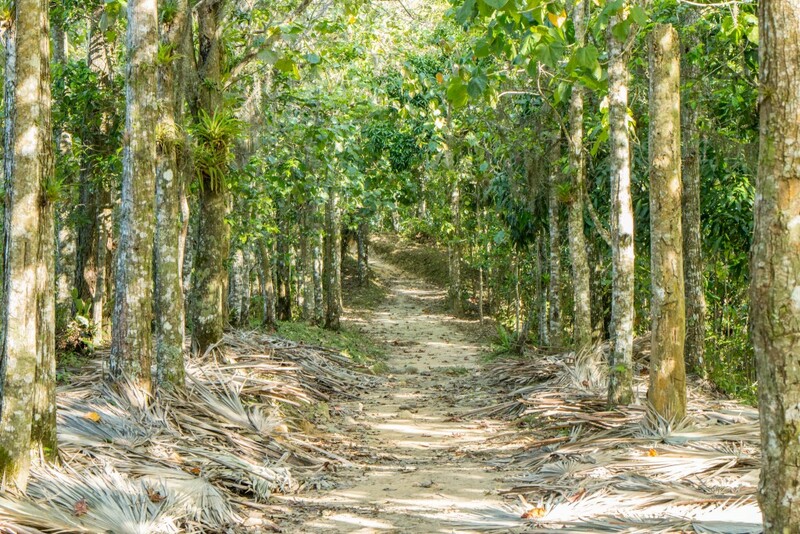 Nowadays, it can be visited as a short yet strenuous half-day hike through the forest of Parque Nacional Turquino (Turquino National Park) in the Sierra Maestra. 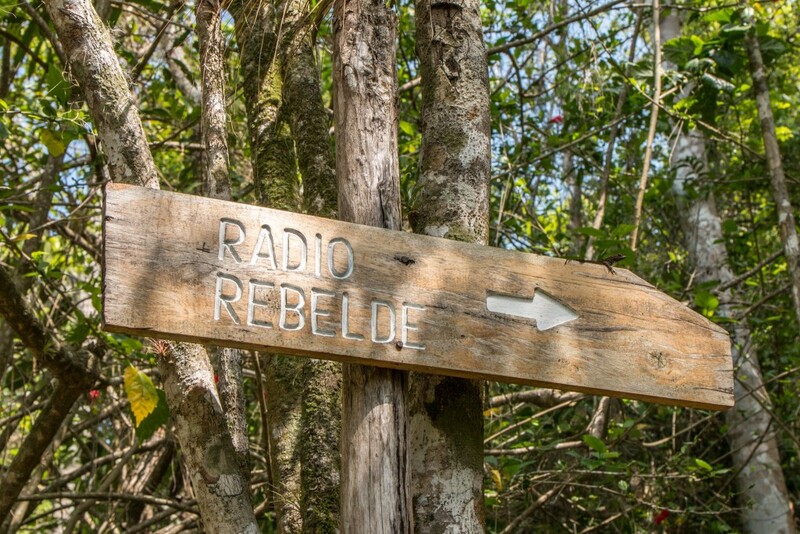 Nothing better to experience the real and off the beaten path Cuba than hiking to this remote location! 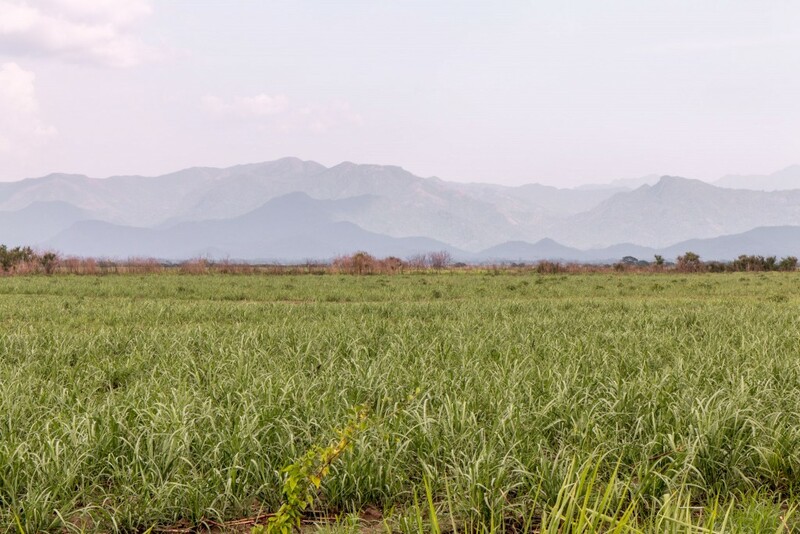 Sierra Maestra is Cuba’s longest and highest mountain range. 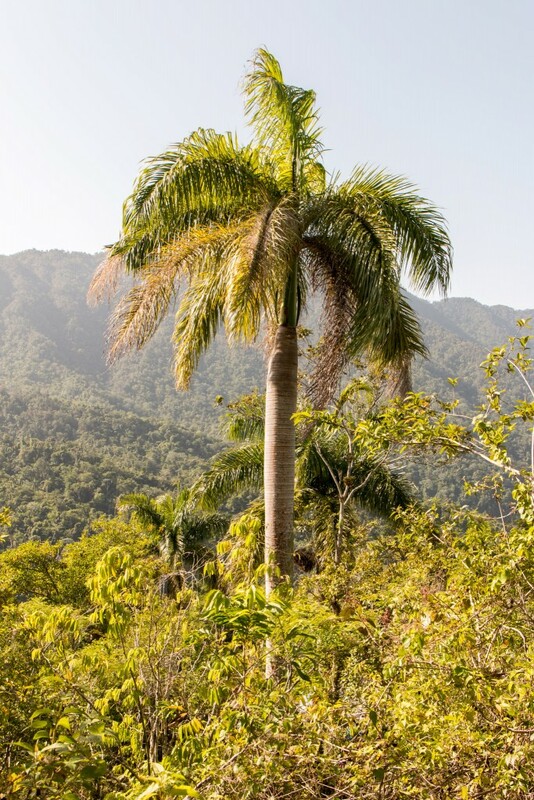 Located in the southeastern coast of the country, it spreads over 250 km and its highest point is Pico Turquino at 1974 m. Within the boundaries of Sierra Maestra is Parque Nacional Turquino. This is an area of outstanding beauty. Of virtually untouched lush and dense forest. So dense you can only see mountains of green for kilometres. A green which modifies its tone as the altitude increases and the vegetation changes. Some parts are really steep, yet they provide magnificent views. 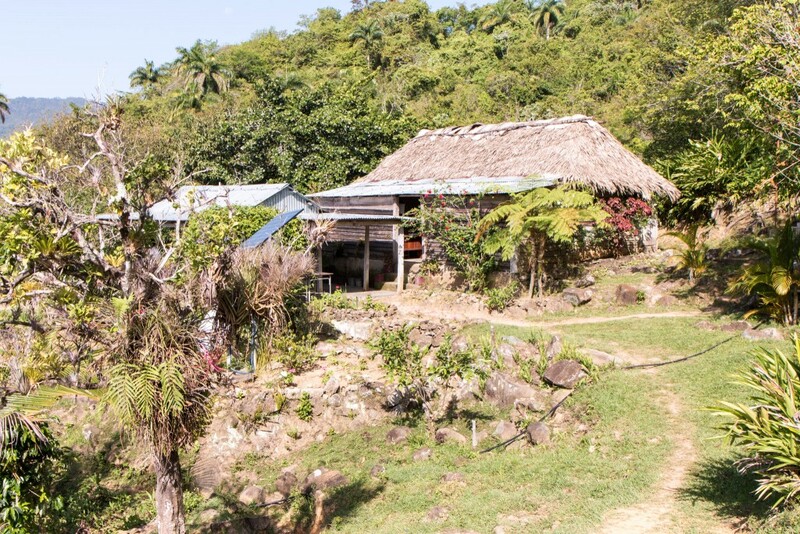 When we started to approach the Sierra Maestra we were unsure about what to expect, especially because we were driving right into the heart of the mountain to Santo Domingo. Getting to Santo Domingo was an adventure on its own. From the base of the mountain, up and down some of the steepest roads we’ve seen, it felt like the longest 20 km ever. The road itself is made of concrete and mostly in good shape, but the poor car struggled to go up some of those tougher sections. Not to mention the temperatures hitting the high 30’s! Our goal was to hike to Comandancia de La Plata. Information about it is scarce, so we decided not to make any arrangements beforehand and see how things went. After getting to Santo Domingo, we managed to ask around about it and were told to be at the park entrance by 8 AM the next morning. 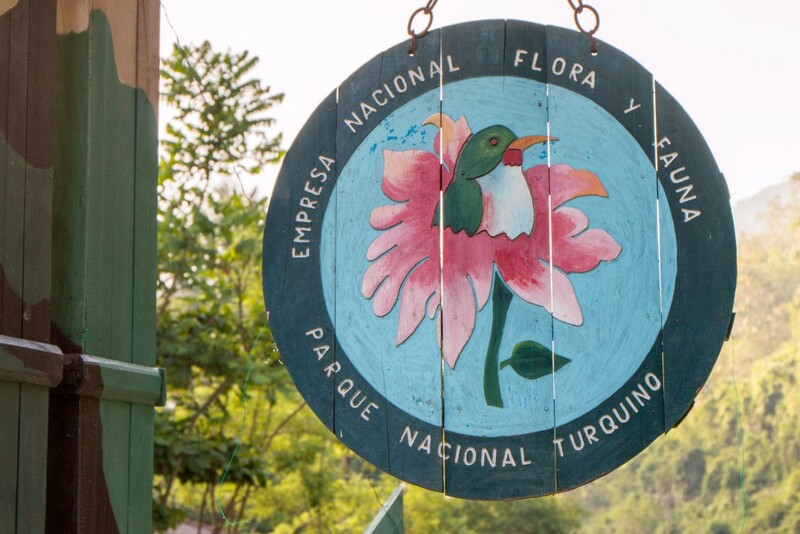 Access to Parque Nacional Turquino is restricted and guidance is necessary. Heading further into the mountains, the main hiking trails start at Alto del Naranjo, which stands at 950 m. We mentioned steep roads before, but from Santo Domingo to Alto del Naranjo the road is ridiculously steep! This section is only possible with a 4×4 vehicle. Shortly before departing, we met 3 other fellow Portuguese-speaking travellers from Brazil that would join us for the hike to Comandancia de La Plata. After a somewhat thrilling drive, and while we waited for a few more people to arrive, we had the chance to admire the spectacular early morning views from the top of Alto del Naranjo. Waking up at 7 AM has its perks. 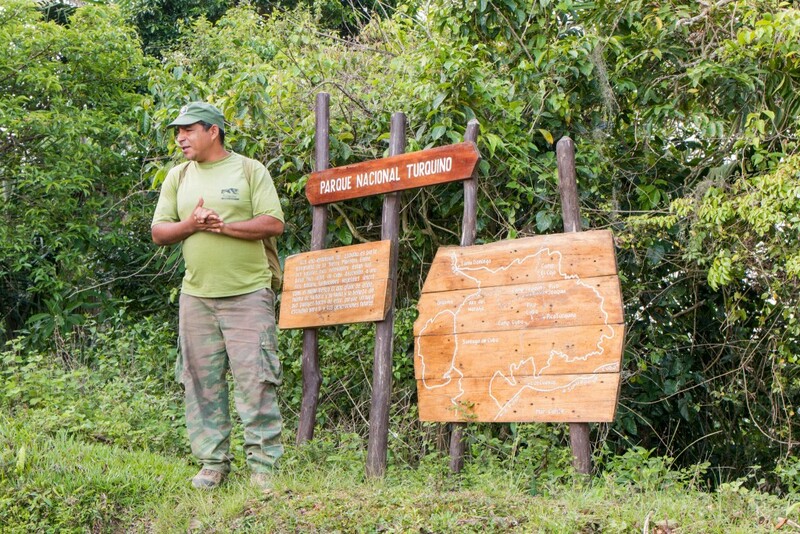 Miguel, our guide, briefed us about Parque Nacional Turquino and the local hikes to Comandancia de La Plata and Pico Turquino, focusing on the one we were about to do and its historical importance. 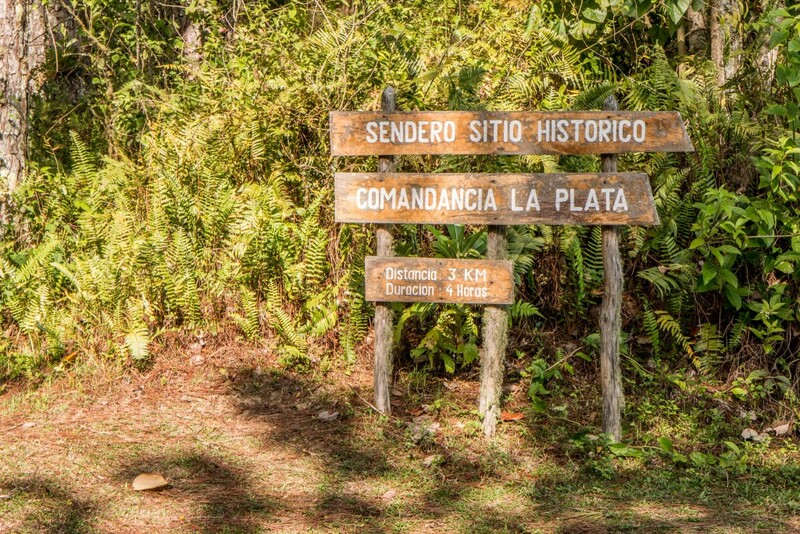 The hike to Comandancia de La Plata is approximately 3 km long through the forest and, although it seems like a short distance, it can be slightly demanding with some rocky hills to tackle. One factor to bear in mind is the weather. It can be quite warm and even rainy, hence the early start. Luckily we had the best of it with plenty of sunshine! The first half of the hike until Casa Medina is mostly uneventful. This is a small community that serves as a rest point midway through. Don’t forget to observe the flora and hear some of the local birds in action. 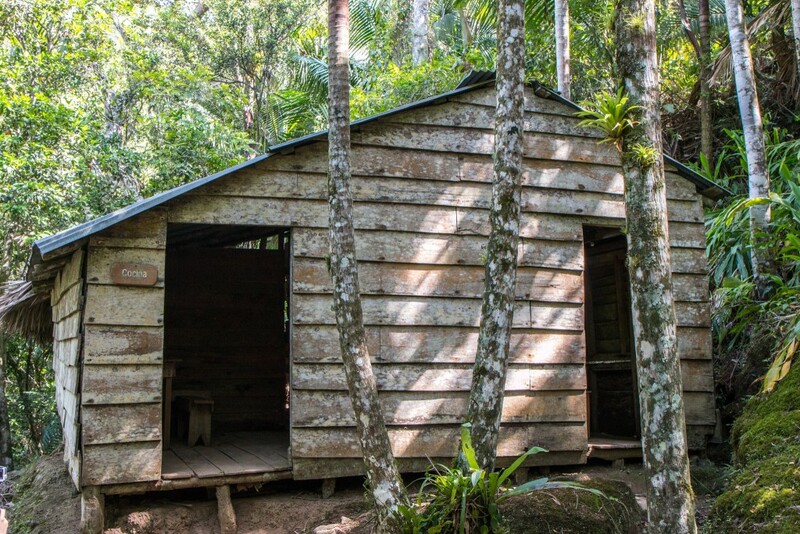 Soon, we entered the historical Comandancia de La Plata area, where the wooden huts and buildings of the rebel army can be found. Our guide briefly explained some details about each building. The first one is a very rudimentary hospital set up by “Che” Guevara to help the wounded soldiers. It’s nothing more than a small hut that sits still low in the mountain, away from the main rebel buildings, due to security reasons. Only the high ranked and most trusted members of the rebels would have access to higher ground. Up in the next hill, an opening in the forest allows to see how far we’ve gone and to spot some massive palm trees. This area also includes a couple more wooden buildings and a grave of a rebel soldier that wished to be buried there. 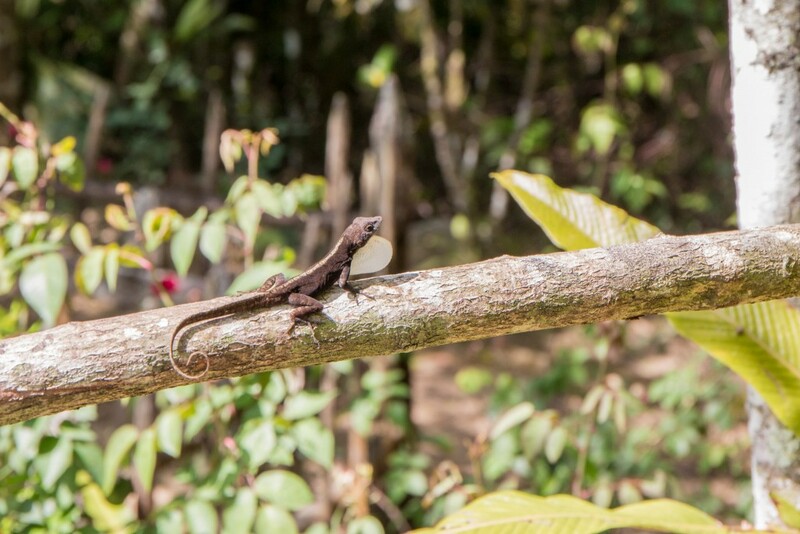 We also found two curious little reptiles! Not a lot further we entered the main area, where the most important buildings are located. The highlight is, obviously, Casa de Fidel (Fidel’s house). It features a bed, a kitchen and a small table. The best part is that it includes 7 concealed exit routes. We tried to guess where, but they were quite hard to spot! 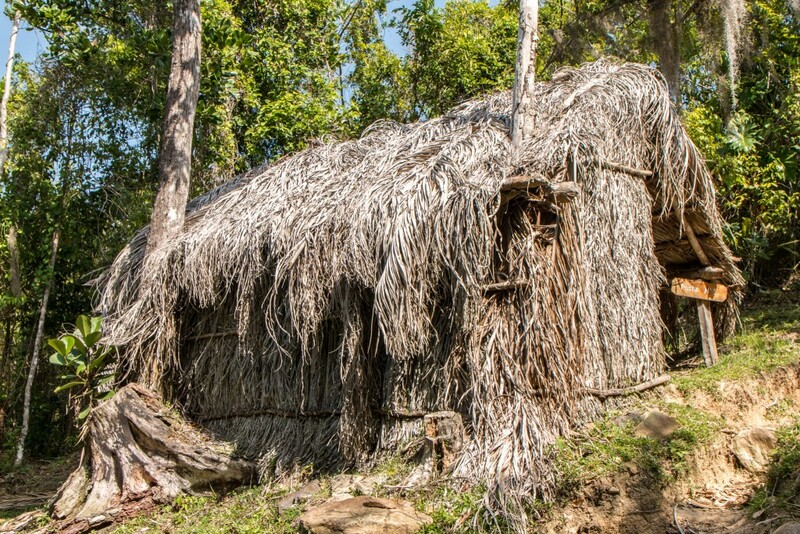 Most of the wooden buildings are covered in branches in order to blend in better with the surrounding nature. This was mostly to prevent them from being found and to be protected from potential airstrikes. On the way back we still had plenty of time and, since part of our group was really slow, the guide told us to hike a bit further up the mountain to the Radio Rebelde and then join back with the rest of the bunch. 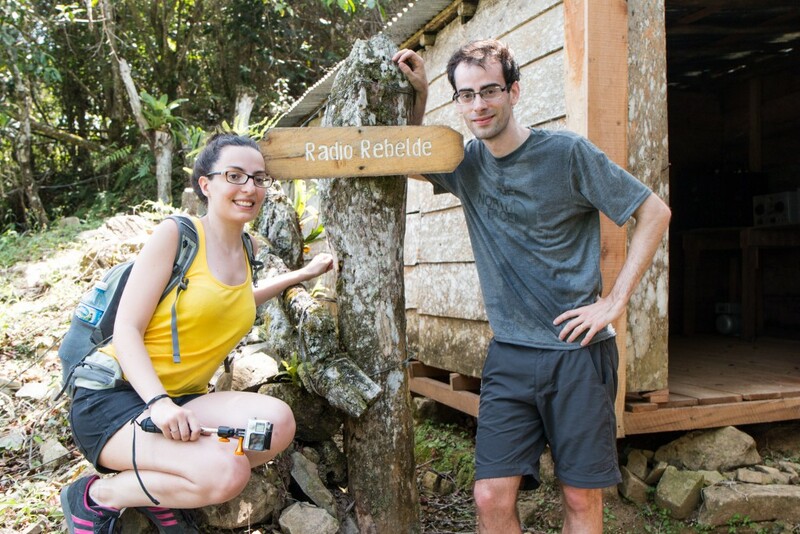 Radio Rebelde is the rebel run radio created to spread the word about the revolution. It played a very important role during that time. 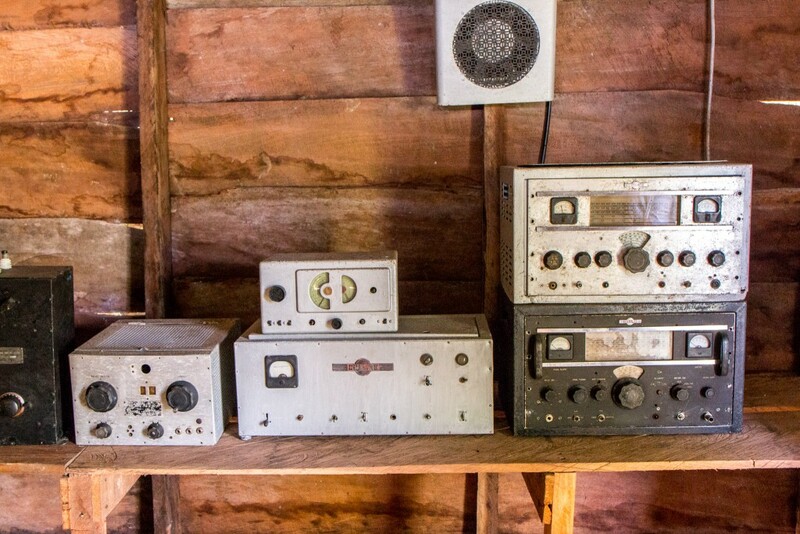 The radio equipment is still in place and intact! The difficult part is getting up there. Again, yet another steep section and with some small obstacles, since this part of the trail is visited less frequently. After this, we made our way back to Alto del Naranjo and then Santo Domingo, where our half-day hike to Comandancia de La Plata ended. 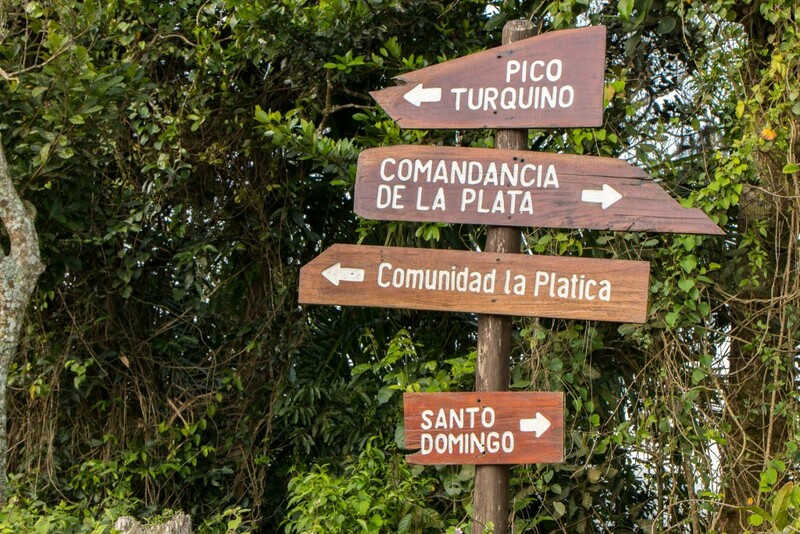 Santo Domingo is the perfect place to stay if you want to explore Sierra Maestra and Parque Nacional Turquino, since the park entrance is right next door. It’s a very remote place that consists of a country hotel and a few houses. The hotel includes a restaurant which serves basic meals. A couple of houses are “casas particulares” as well. Pure tranquility is what we found there. There’s not even mobile phone coverage. We had to resort to the town’s single public phone to call our next destination. Muchas gracias to the lovely family that allowed us to use their prepaid card there! Sierra Maestra was a big surprise for us. Yes, we were attracted to it due to its historical importance to begin with, but far from knowing about its real beauty. We now wish we had more time there to further explore it. 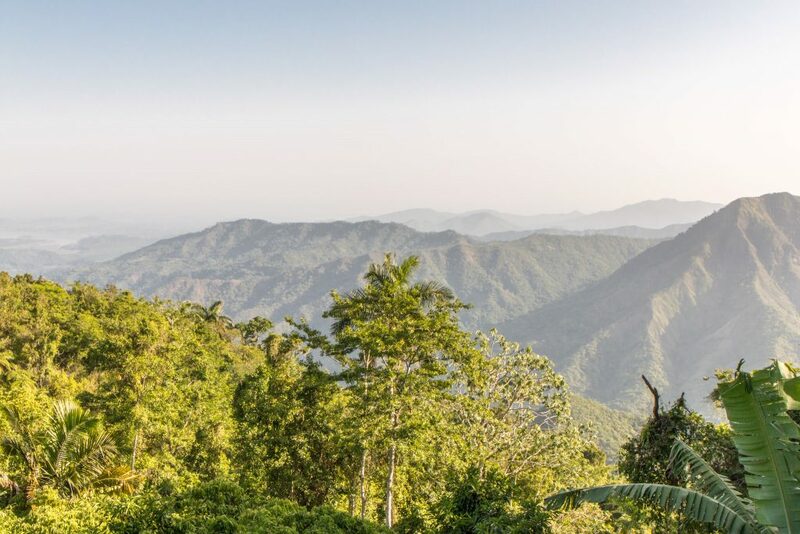 This mountain is one of the many examples that proves Cuba is a perfect destination for nature and outdoor lovers – us very much included! Far far from the typical stereotype attributed to this Caribbean Island. Don’t forget to watch the video with the highlights of our trip to Cuba for some scenes from this area. Have you been to Cuba? 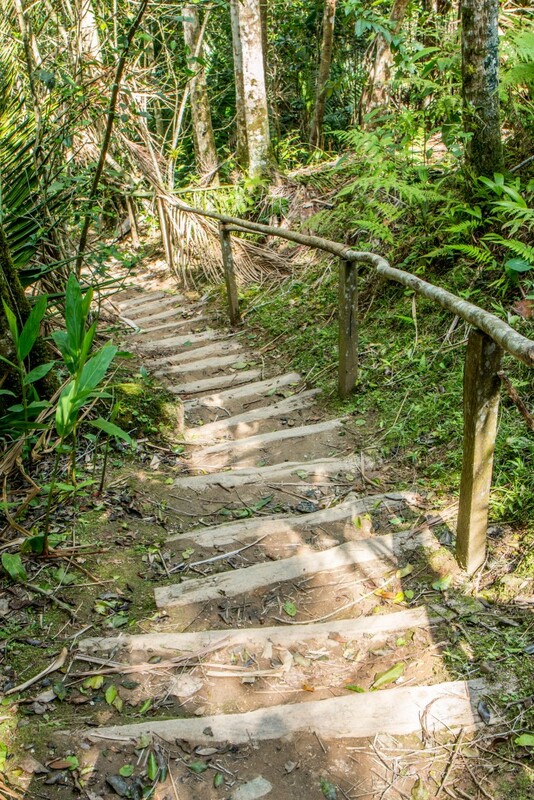 What about hiking in the Sierra Maestra? WOW! What beautiful pictures and how cool to see such a historical place! I want to go to Cuba so bad and this post is just making me want to go more!! Besides the historical importance, it’s an immensely beautiful place. Cuba nature is often overlooked vs the colonial towns etc, but for us this another big plus of visiting Cuba. So many article about Cuba either talk about resorts or Havana – and there’s nothing wrong with that. But I love learning about a different side of the country and I would love to do a hike like this. The combination of history and nature is awesome! Exactly! Cuba has A LOT more than just Havana or Varadero. Nothing wrong with that as you said and Havana is a great place to visit, but we’re trying to showcase a different side of Cuba. I want to do this!! My husband had given me Che’s book with a note saying we were heading to Cuba.. something happened and we ended up in Japan instead. This was in 2008. I still regret that we weren’t able to make it to Cuba. Now that it’s opening up, I really need to get there. We love hiking and history, so this will be top on our list. Pinning for later! Great story! Too bad it didn’t happen back then. Cuba has a lot of history and this area is particular is very rich in terms of that. Totally worth going. It’s great that it’s opening open up. See if you guys can make it there! Cuba! Seems super interestin While reading this it pretty much felt like my adventure today. I also enjoy not making too much of a plan and just seeing how things unfold. Good pictures and good article. What a fascinating hike. Not only beautiful, but historical as well. Heat and steep trails are not my favorite, but the views look like it was worth it! Wow, what a cool thing to have been able to do…visit the HQ of the Cuban revolution and see where Fidel Castro and Che Guevarra slept! Congratulations! 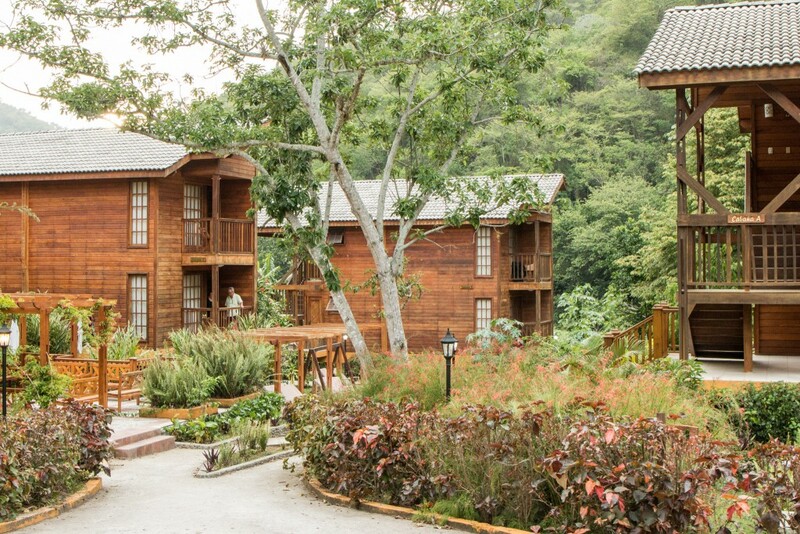 And that hotel in Santo Domingo looks so rustic. Awesome post! A unique experience. This part of the hotel is fairly new and does look pretty good. Suits the mountain environment! This looks amazing. 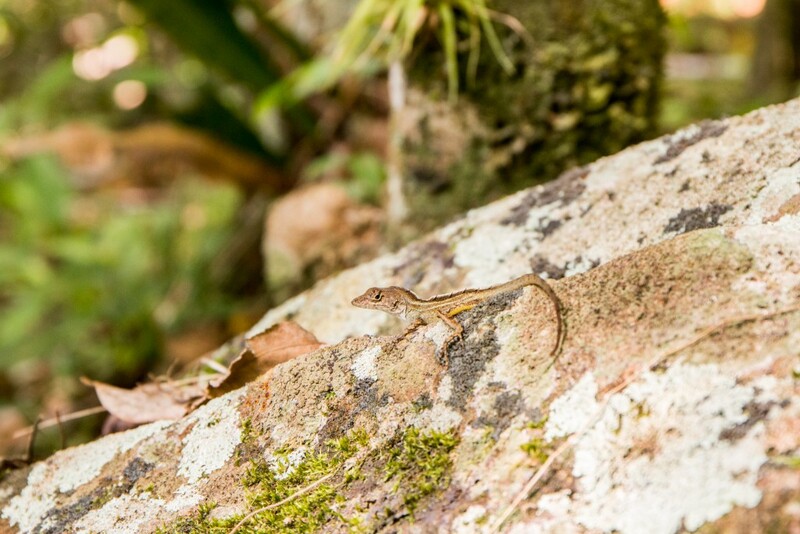 Heard so many good things about Cuba but I particularly love all the nature treks you guys did. Plenty of cool things to see and do in Cuba. Far more than we ever imagined before travelling there. Cheers! When I see an article about Cuba, I expect to see a bunch of old cars. This was a completely different aspect. Looks like your challenging adventure paid of with some wonderful sights and a different view of Cuba that we’re all used to. Great article guys! Thanks, Jennifer! This is just a sample that proves Cuba is more than just a bunch of old cars. We’ll highlight more soon. That looks like a FANTASTIC trip! Good for you for taking chances, even though you weren’t sure what will await you once you get there. I love your photos, and since I will probably never travel there myself, thank you for the chance to see this beautiful place! Glad you liked it! Overall Cuba was a unique experience and this area in particular a true adventure. Well, you never know. You may end up visiting Cuba. We wish we had more time to other trails in the region. Maybe next time! I can’t believe that information is scarce about Comandancia de La Plata. You’d think it’d be more popular as it’s a big part of the Cuban history. Great post with even better information!. It’s incredible really. It has to do with the lack of tourism outside the main Cuban “touristy” routes. This area is really hard to get to. Glad you liked it! Cheers. Cuba, awesome! This country is definitely on my bucket list, and it looks beautiful based on the pictures that you took. I think it is great that you were able to combine a site of historical interest with a scenic hike. It definitely makes me want to go to Cuba even more now! Cuba is a great destination! You should definitely visit. It has lots of things to see and do, including plenty of history. Ping us if you have any more questions. Another great post! We will be staying in Santiago before our planned trip to Sierra Maestra, any advice on how best to get to the place on time? 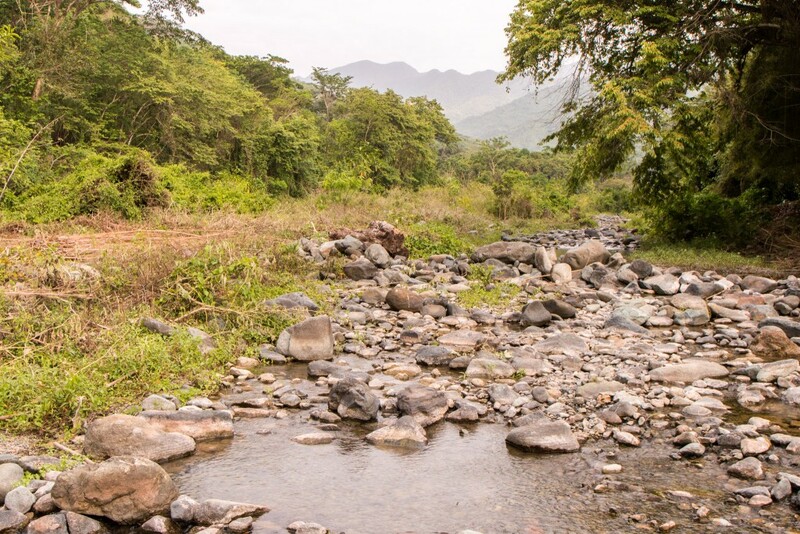 It’s quite a long drive from Santigo to Sierra Maestra. 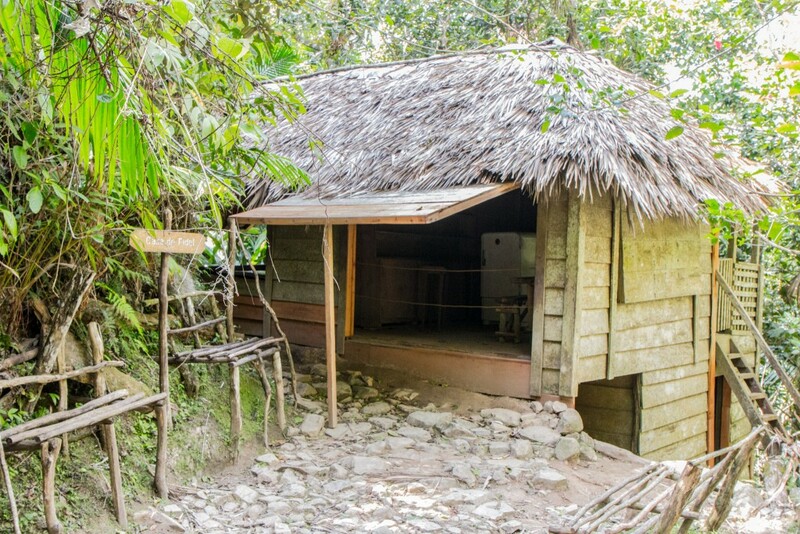 We would advise that you book a night in Santo Domingo, the small village at the gates of the national park. Otherwise, we’re talking about 200 km distance which by Cuba standards should take around 3 to 4 hours. It’s not easy to find in Google Maps but try the nearby town of Bartolomé Masó. The park entrance is in Santo Domingo and this is where you can get the guide/transport up the road to the starting point. Simple and easy. 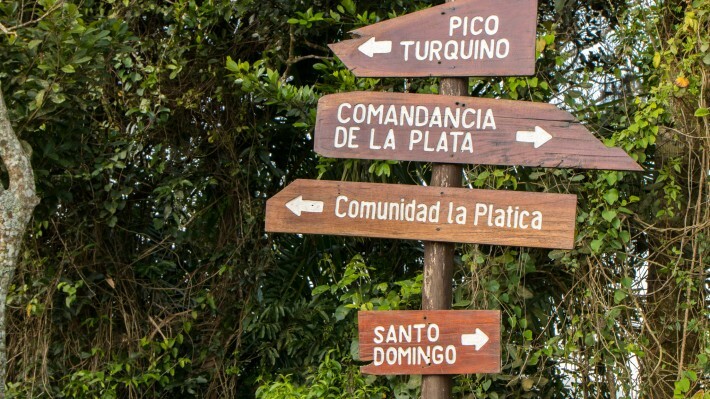 Did you hike the Pico touquino ? I saw a travel agency that charges 225.00 do I have to go with an agency ? Can I arrange the day of for that trip ? What hote do you recommend in Santo Domingo ? Can I arrange from US ? We did not. Just Comandancia de la Plata (the one described in the post that takes half day). Pico Turquino usually takes a couple of days and it’s one way only. 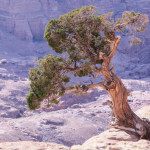 Hiking in the park requires a guide which can be arranged at the national park office. I’m afraid I have no email or phone and a quick google search (even in Spanish) did not yield any decent results. There’s only a local government-run chalet-style hotel – which is quite nice. The name is Villa Santo Domingo. There are also a couple of casas particulares and a camping site.